The fine folks over at Conflux Group came to us looking for a simple, yet eye catching, landing page for a promotion they were running at SXSW. 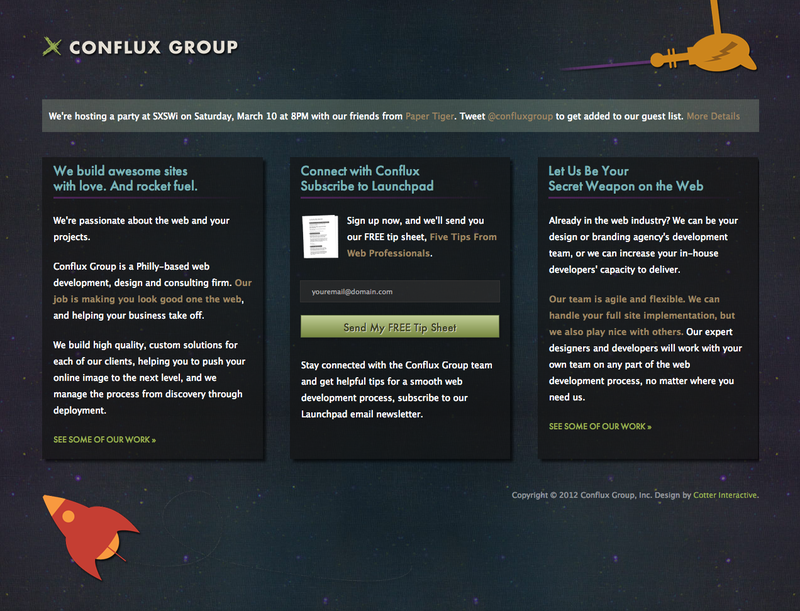 The goal was simple: promote the promotion, and promote Conflux Group. Our simple three column layout, coupled with the Conflux brand led to a neat landing page that had a hint of playfulness to it. With only a limited timeframe to grap a visitors attention, we needed to do something to make them want to read more. This subtle, yet effective intro animation did just that.